The Sol range of bedroom furniture is a comprehensive and distinct collection of bedroom furniture, designed to accommodate all styles and sizes of bedrooms. 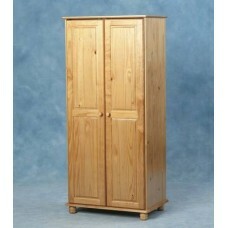 With a huge selection of storage solutions, the Sol range is beautifully in a traditional Antique pine varnish finish. The matching Sol range of bedroom furniture to accompany the Sol bedframe, and Monaco bedframe. Sol Wooden Bed frame A hugely popular selling range, made from solid pine. Ideal for homes, buy to ..